After some morning fuel, I’d take a stroll down to Barceloneta for a walk along the beach. I love having the sea close by, there’s something very liberating about being able to walk along the seaside whenever you want. I love the winding streets of El Born but sometimes I crave space and openness with the beach being the ideal remedy. 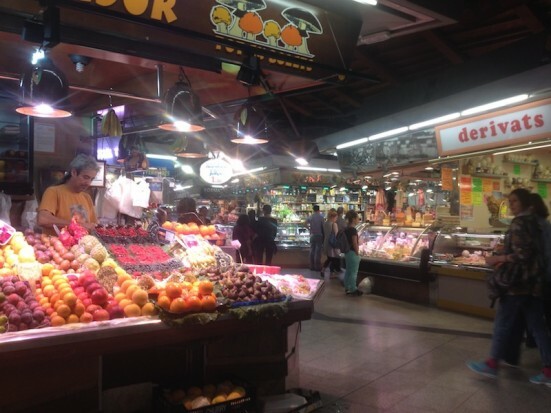 I’d walk in a big circle, taking me back towards El Born and up to Santa Caterina market. This place makes me so happy. I love the colours, smell and atmosphere, there’s an indescribable buzz about it. I try to do my weekend ‘food shop’ here, buying some fresh fish and meat. After stocking up on some freshly caught mussels, I’ll go home to cook my boyfriend and I a late lunch before relaxing on our private terrace in our apartment. 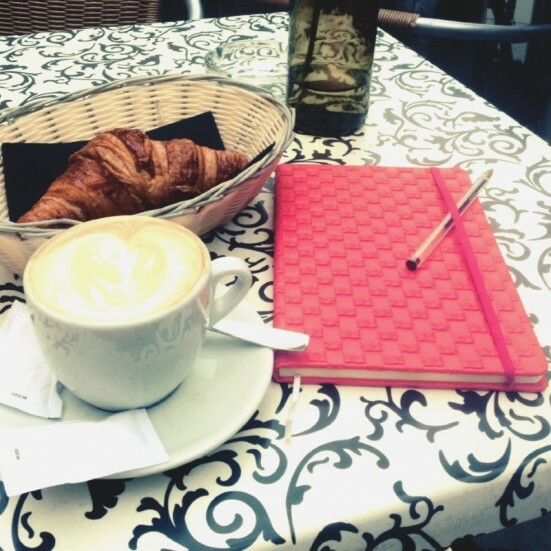 If it’s a sunny day, a great place for a pit stop is Café Catalina (c/ Giralt el Pellisser, 8), next to the market. 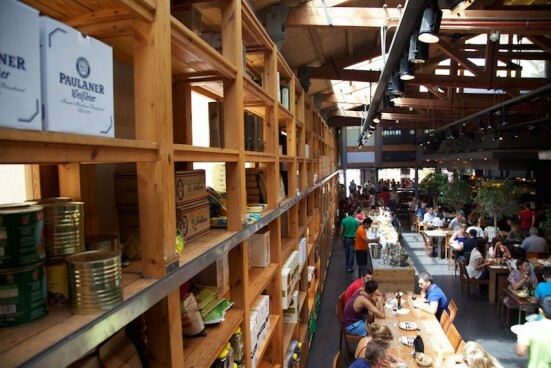 This café is a genuine sun trap during the day and a fantastic place for people watching. 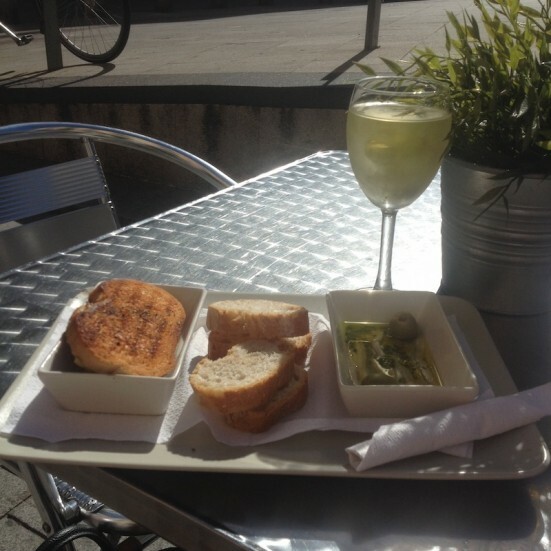 They have a great deal of €5 for any drink and two tapas, ideal for a light lunch or afternoon snack. When evening approaches, we’d head back round to Santa Caterina to eat at my favourite tapas restaurant, Cuines Santa Caterina. We love to sit at the bar drinking wine whilst ordering a range of delicious tapas which is all cooked with fresh ingredients sourced directly from the market itself. One of the most endearing things about the restaurant is the intimate atmosphere which I’ve yet to experience replicated in Barcelona. The menu is far from limited with traditional Catalan/Spanish cuisine with even a Thai chicken curry thrown into the mix, so there’s really something for everyone. Every great day has to be rounded off with a nightcap. 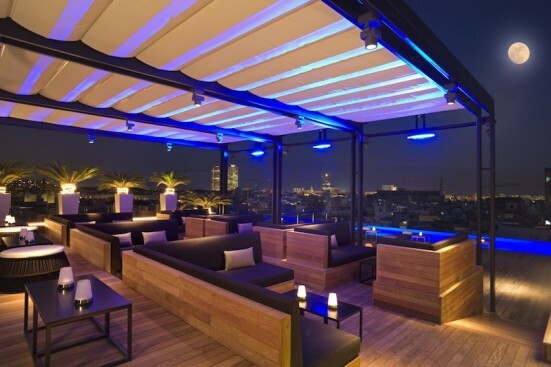 One of our special spots is the Sky Bar on the roof of the Grand Central Hotel on Via Laietana. This bar has a panoramic view of the city and a cool, chilled-out vibe. Drinks will cost you a few euros more but it’s worth every penny. Good food, nice wine and pretty places make me a happy girl so that’s why my perfect day in Barcelona consists of the above. 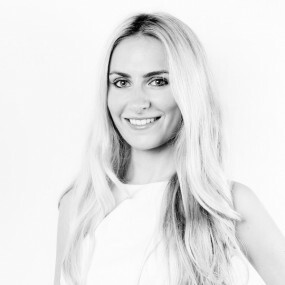 Roisin is a young Scot with a passion for travel and writing. Working and living in Barcelona, she is constantly exploring the city and blogging along the way. Roisin loves going for some vino and tapas whilst sitting outside people watching. She’s currently learning Spanish but already speaks fluent Italian after studying and working in Milan. Read more about her BCN lifestyle at blondeinbcn.wordpress.com. Really great to see that foreigners appreciate Spanish culture.